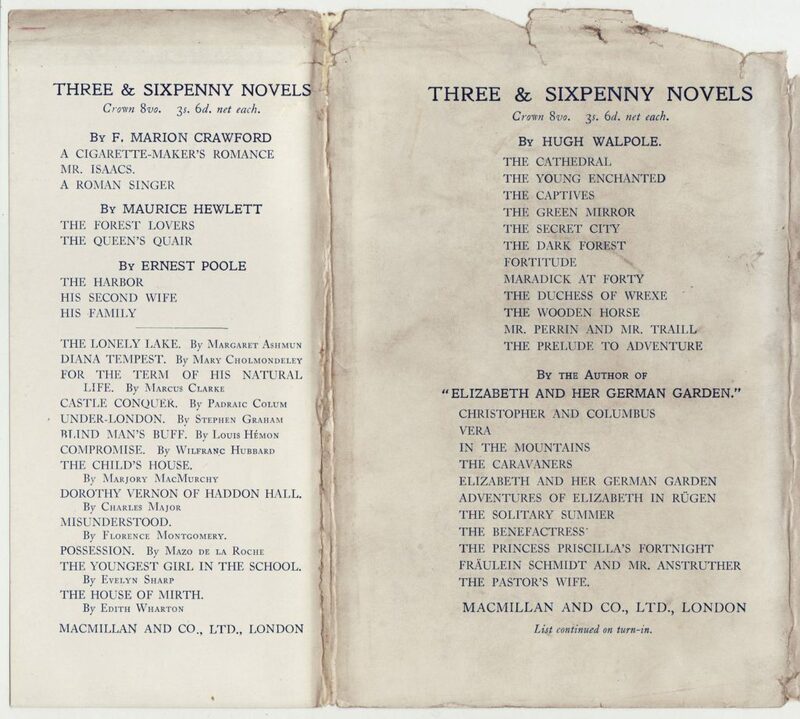 One of many MacMillan reprint series, the Three & Sixpenny Novels series was issued from the late 1880s until at least the mid-1930s. The series contained what seem to be primarily reprints of contemporary Macmillan novels. 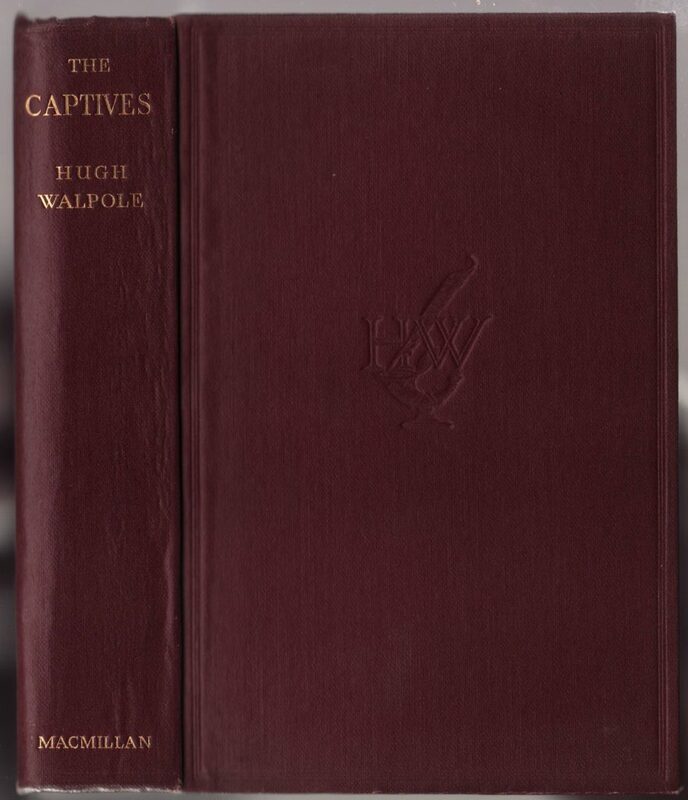 This copy of Hugh Walpole’s The Captives comes late in the series time-span and is dated 1934. 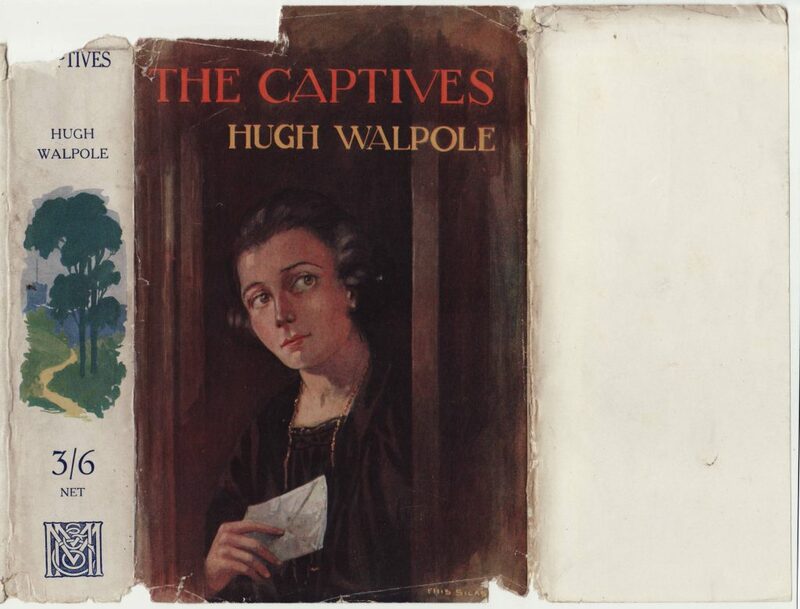 The jacket is illustrated and unique to the title. 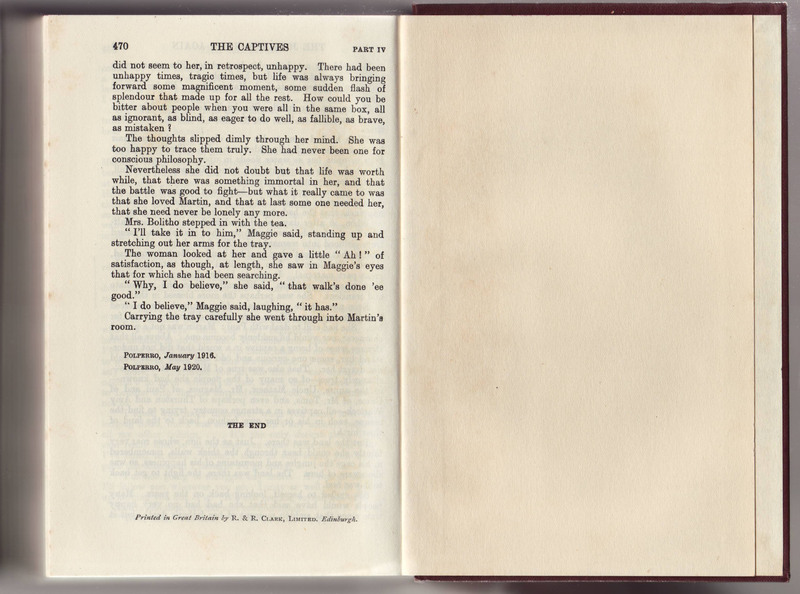 The price is included on the jacket spine, along with an illustration, and the front jacket flap is blank. The back of the jacket and rear flap list titles currently available in the series including multiple titles by F. Marion Crawford, Maurice Hewlett, Ernest Pool and Hugh Walpole. The dark red cloth bindings are solid, with gold stamping and an “H W” logo debossed on the front. The half title page reproduces the HW logo and the title of the book. 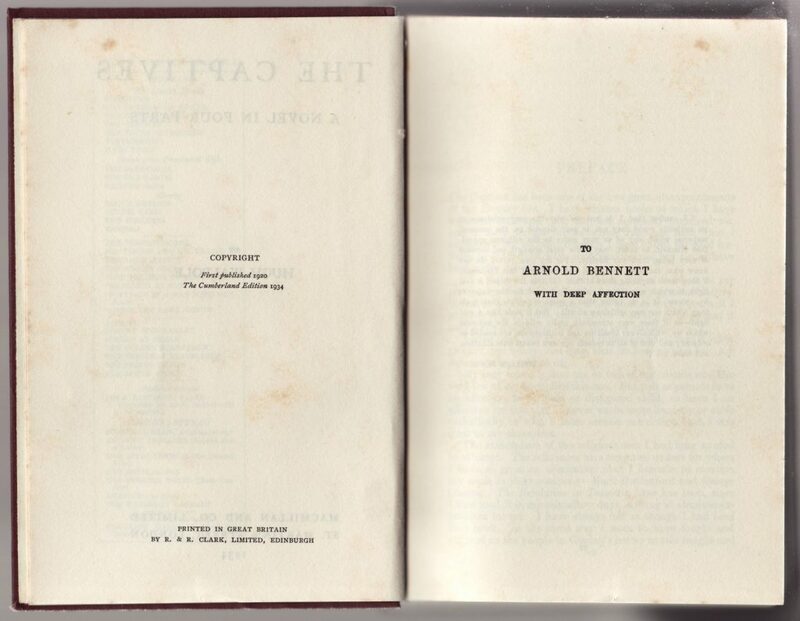 The book is the Cumberland Edition of Walpole’s works. In this case, the book is being marketed as part of a reprint series as well as part of the collected works of one author. 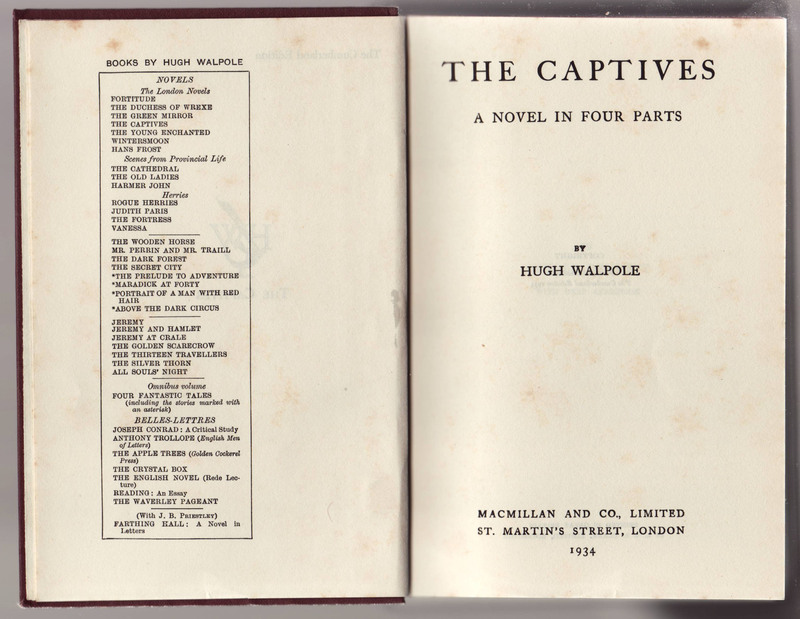 A list of Walpole’s books faces the title page, which itself includes the printing date of 1934. 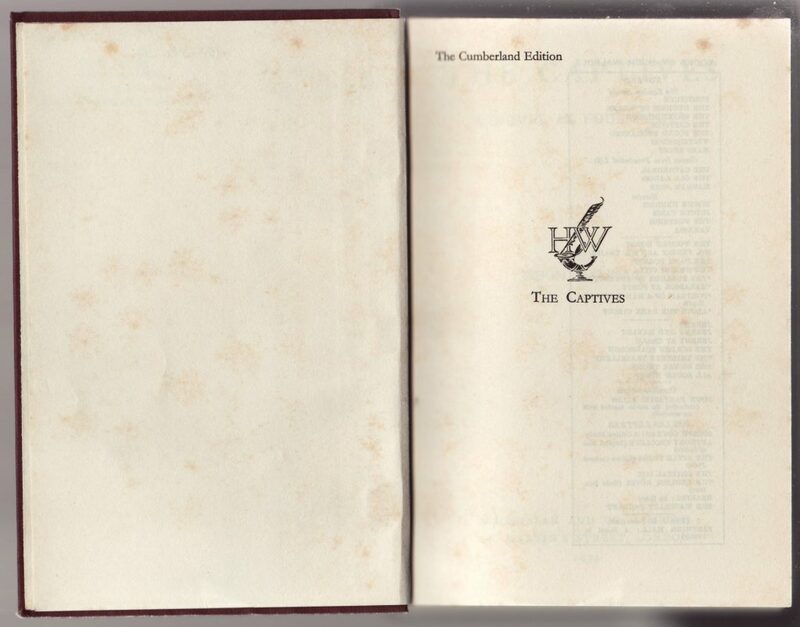 The copyright page includes the date of publication and the printer. The printer is also included on the last page of the book.